b. 1673, 3rd s. of Jerome Wade of Kilavally, co. Westmeath. unm. Ensign 10 Ft. 1690, lt. 1693, capt.-lt. 1694, capt. 1695, maj. 1703; lt.-col. 17 Ft. 1703; brevet-col. 1704; adjt.-gen. to forces in Portugal 1704; colt 33 Ft. 1705; brig.-gen. Spanish army 1707; brig.-gen. 1708; maj.-gen. Spanish army 1708, maj.-gen. 1714, col. 3 Drag. Gds. 1717-d.; 2nd-in-c. expedition against Vigo 1719; c.-in-c. Scotland 1724-40; lt.-gen. 1727; gov. Berwick 1732, and Fort William, Fort George and Fort Augustus 1733; gen. of Horse 1739; lt.-gen. of Ordnance 1742-d.; P.C. 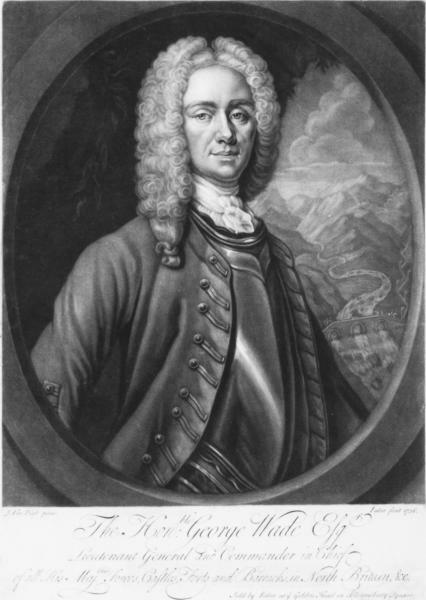 24 June 1742; f. m. 1743; c.-in-c. Flanders 1743-45; c.-in-c. north of England during Jacobite rebellion 1745. The grandson of a Cromwellian army officer, who settled in Ireland, Wade served with distinction in the wars of William III and Marlborough. Returned as a Whig for Hindon in 1715, he transferred in 1722 to Bath, where he had been stationed in the Fifteen rebellion, making his residence there and building up an impregnable position in the city, based on personal prestige. He even succeeded in polling all 30 votes in 1734, an unequalled feat. In this he was helped by the well-known Bath postmaster, Ralph Allen, who had married his illegitimate daughter and became so influential in the city and corporation that he was known widely as ‘the man of Bath’. There was no question of bribery though he spent money freely on charities, corporation feasts and the abbey, and had the portraits of the corporation painted at his own expense. Though I have generally joined in opinion with ... the Administration, yet I have likewise upon many occasions differed from them ... When the famous South Sea scheme was in agitation in this House, though it was brought in by a minister and strongly supported ... yet I had the honour to be one of the 55 who divided against it ... I had upon that occasion messages sent to me and was threatened to be stripped of all my military employments, but those threats had no weight with me. On 28 and 30 Mar. 1737 he spoke on Sir John Barnard’s (q.v.) proposals for reducing the interest on the National Debt to 3%, unsuccessfully moving an amendment to substitute 3½ for 3. 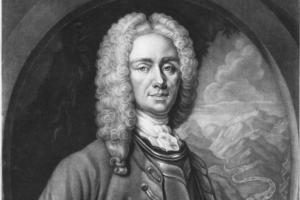 After the outbreak of war with Spain in 1739 Wade defended the Government’s proposals for raising new troops.1On 2 Mar. 1741 he spoke against a clause in a press bill providing that volunteers should be entitled to £6 a year for life, arguing that pressed men should share this bounty. In Jan. 1742 he was summoned to the last meeting of Walpole’s war cabinet.2 He was included in the court list of candidates for the secret committee on Walpole’s Administration, but was not elected to it. 1. HMC 14th Rep. IX, 62; Coxe, Walpole, iii. 558. 2. SP Dom. various 3, 8 Jan. 1742. 3. Walpole to Mann, 6 Aug. 1744. 4. C. Dalton, Geo. I’s Army, ii. 22.